Before captioning videos for convenient social media consumption on the go became all the rage, everyone agreed that having good audio was an essential element of good video, possibly even more important than the image quality. Many will agree that it actually still is despite the captioning vogue of late. So how do you get good audio for video? Let’s make it simple: Get as close to the sound source as possible with your mic! In most cases you will get better audio with a cheap mic close to the sound source than with a super-expensive mic that’s (too) far away (notice: it won’t work at all however if you use a carrot). And how do you get as close as possible to the audio source? An external mic (as opposed to the internal mic of your phone) will be a big help to achieve that since you probably don’t want to shove your phone/camera into someone’s face. But can you work with external mics on Android devices? Yes, you can. And the good news is that it basically works with EVERY Android phone or tablet! Of course I have not tested it on every single Android device on the planet but so far I have not encountered a single one that didn’t support it and believe me I have had dozens so far! In most cases you will however have to use third party apps since most native camera apps don’t support the use of external mics. There are a few exceptions like many Samsung phones and the (recent) flagships of LG and Sony but with other Android phone makers your only chance to use an external mic for better audio while recording video are third party video recording apps like FilmicPro, Cinema FV-5, Open Camera, Cinema 4K or Footej Camera. If you are into video live streaming: Popular platforms like Facebook, Periscope, Instagram or YouTube also support the use of external mics on their mobile apps. Important: Some apps will automatically detect a connected external mic while with others you will have to go into the settings and choose the external mic as the audio input. In general, it’s recommended to connect the mic before launching the app as sometimes the app might not correctly detect the mic when you only plug it in after launching the app. But how can you connect an external mic to an Android device? There are four basic options that I will shortly elaborate on: 1) via the 3.5mm headphone jack 2) via the microUSB port 3) via the USB-C port 4) via a wireless connection / Bluetooth. The most common wired solution for connecting an external mic to your Android device is (was?) 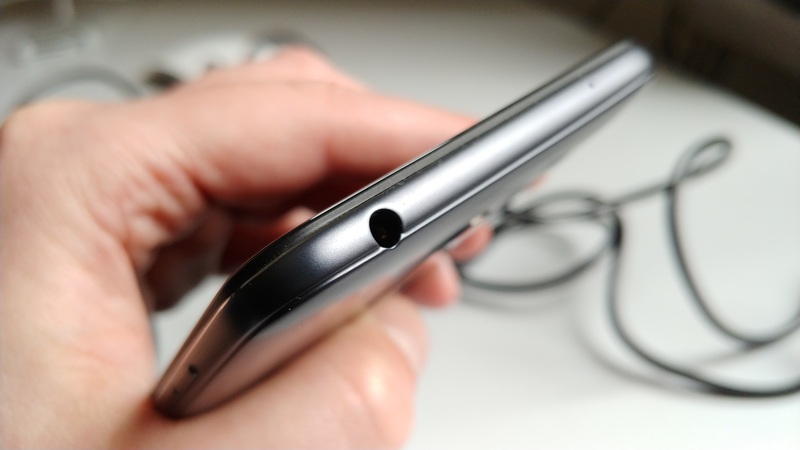 the 3.5mm headphone jack, the port where you would usually plug in your headphones to listen to music. For a long time this was one of THE universal things about a smartphone, be it an Android, an iPhone or even a Windows Phone. In the past couple of years however, more and more phone makers have been following Apple’s lead to ditch the headphone jack (starting with the iPhone 7) in an attempt to further push for a slick enclosed unibody design, leaving the phone with only one physical port, the one that is primarily there to charge your phone. Of course this move has also to do with the rise of Bluetooth headphones. Anyway, if you’re lucky enough to still have a phone with a 3.5mm headphone jack you have a range of options to connect different types of external mics. 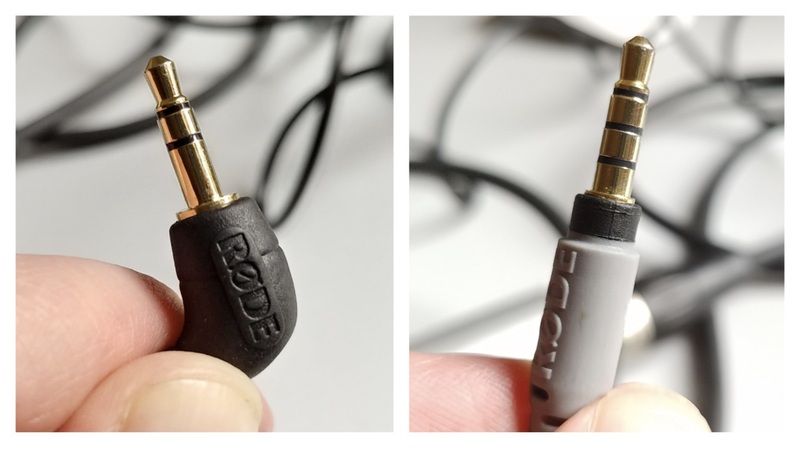 There are two general options: Using a mic with a dedicated TRRS 3.5mm headphone jack connection or using another mic with an adapter. What’s TRRS you may ask? Well it has to do with the number of conductors on the 3.5mm pin. You might have encountered mics with a similar looking 3.5mm pin for ‚regular‘ cameras. But while they look similar, they only have THREE conductors on the pin (TRS), not FOUR (TRRS). Smartphones use the TRRS standard so a TRS 3.5mm pin won’t work unless you use an adapter like the Rode SC4. But you know what? There’s a good chance you already own an external mic without even knowing: the headphones that came with your phone. Yes, you heard that right! They usually have an inbuilt mic for making/receiving phone calls and if you have your headphones connected to the headphone jack while using a video recording app that supports external mics, then this is an easy and cheap way to improve your audio. You might be surprised how decent the sound quality can be! Of course the cable of the headphones is usually not too long so if you are doing a piece to camera or an interview with someone it will be hard to avoid having the cable in the frame and the sound quality of dedicated TRRS 3.5mm mics often trumps that of the headset but I think it’s still great to have this option at hand. 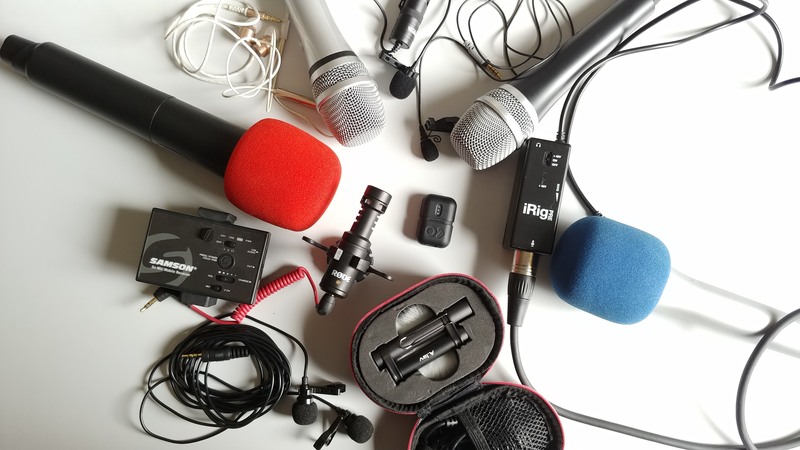 Dedicated TRRS headphone jack mics include the original iRigMic (handheld) by IK Multimedia, several lavalier/lapel mics (like the Rode smartLav+, the Aputure a.Lav, the Tonor Dual Headed Lapel and the Boya BY-M1) or the Rode Videomic Me (directional shotgun-type). One might also count the Rode VideoMicro (directional shotgun-type) as a dedicated TRRS mic because you can exchange the TRS cable that it comes with (to work with ‚regular‘ cameras like DSLRs etc.) for a TRRS cable (Rode SC7, sold separately). Other than that you can connect basically any XLR mic by using IK Multimedia’s iRigPre adapter/converter box which has a female XLR input on one side and a male 3.5mm pin cable on the other. XLR is the most common professional audio connection standard. Left: microUSB connector / Right: microUSB port. 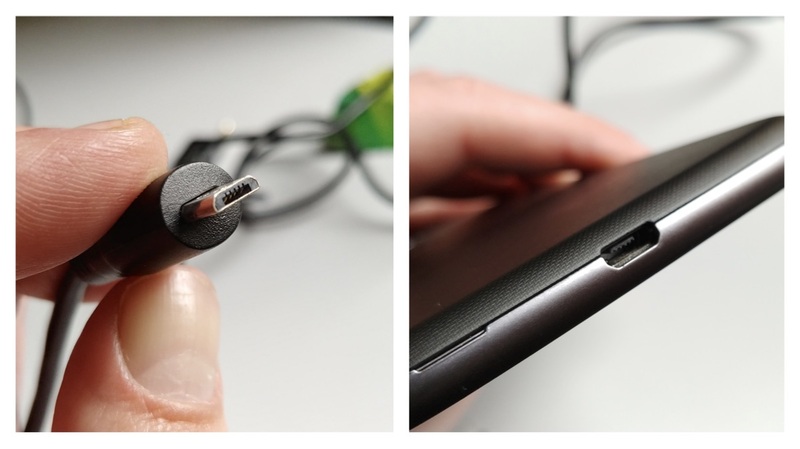 Just as 3.5mm headphone jacks used to be a common standard on phones, so did microUSB ports on Android devices for charging your phone’s battery. The change from microUSB to USB-C as the preferred „power port“ in the last years very much but not exclusively coincided with the trend to drop the headphone jack. There are hardly any new phones coming out these days that still have a microUSB port (the most recent were all in the budget segment). And as 3.5mm headphone jacks were a universal standard at the time the lack of dedicated microUSB mics didn’t really come as too much of a surprise. Actually the only mic like this that I ever encountered and used was IK Multimedia’s iRig Mic HD-A, an improved digital version of the original iRigMic which featured a microUSB connector instead of a 3.5mm pin. One thing you also had to pay attention to when connecting accessories to a microUSB port was the question of USB-OTG support (OTG stands for „On-the-go“). In simplistic terms one could say that USB-OTG support basically means that you can use the USB port for other things than just charging. For instance as an audio input. Not all Android devices have support for USB-OTG. Left: USB-C connector / Right: USB-C port. USB-OTG support is also of relevance when talking about USB-C, the new USB connection standard for Android devices (it has recently also been introduced on Apple’s iPad Pro series so one might speculate on whether the future will see Apple making the switch for all its devices). 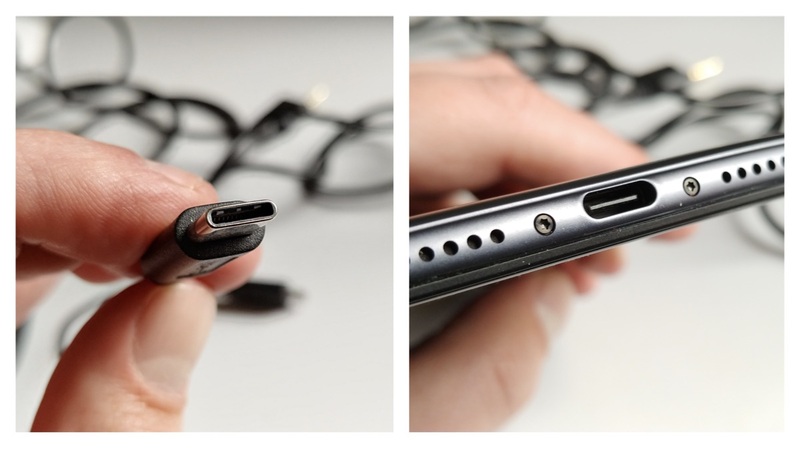 One of the very practical things that makes USB-C better than microUSB is that the connector is shaped in a way that fits into the port of the phone in two ways, not only one like microUSB which usually meant you tried to plug it in the wrong way first. The other good thing is that as time went by, USB-OTG has become a more common feature on Android devices so chances are relatively high that your device will support USB-OTG if you have purchased it in the last two years or so. It’s still not a definitive standard on Android devices though, so if you plan to use USB-C mics you should check the phone’s spec sheet first. The introduction of dedicated USB-C mics has been very slow, the first one to my knowledge was the Samson Go Mic Mobile wireless system launched in 2017 which included a USB-C connection cable for the receiver unit along with cables for 3.5mm, microUSB and Lightning port (the latter is the standard on most Apple devices). Boya has recently added two USB-C mics into their portfolio (a directional shotgun-type and a lavalier) and Saramonic has a USB-C-to-XLR adapter cable so there are finally at least some options. For a great overview regarding USB-C mics check out this blogpost by Neil Philip Sheppard on smartphonefilmpro.com. One more thing: While quite a few phone makers include a USB-C to 3.5mm-adapter with their phones if they have a USB-C port (which would let you use 3.5mm mics), these tend to be proprietary, meaning that you can’t use them with other phone brands and if you lose yours you will have to purchase from the same brand again and can’t use a third party adapter. Yes, very annoying, I know. In general, USB-C mics don’t seem to work as universally across Android devices and apps as their headphone jack buddies just yet so if you plan to use a USB-C mic than I would recommend doing thorough testing before using it on an important job. All the aforementioned external mic solutions have in common that they involve some kind of wired connection to the phone, even in the case of the wireless Samson Go Mic Mobile system or Rode’s RodeLink wireless kit (which can be utilized when connecting a TRS-to-TRRS adapter to it) as the receiver unit has to be plugged into the phone. Of course it would be fantastic to have the audio go directly and wirelessly from a mic (transmitter) into the phone without a separate receiver unit attached to it. And in theory it should be very much possible because modern phones do have two protocols allowing for wireless data transfer: WiFi and Bluetooth. So far, only Bluetooth has been used for that, I’m sure there’s a technical reason why the WiFi way might not be feasible (yet) that I don’t know about. A bunch of potential Bluetooth mics have been around for some time but they usually still need a receiver unit and the audio quality and reliability hasn’t been quite up to the task so far. Bluetooth headphones/headsets with an internal mic is another possible option. Here’s a short test I did using the inbuilt headset mic of my (rather cheap) Bluetooth headphones. It’s not too bad in my opinion and might suffice for certain tasks but you definitely notice the quality difference to a good wired external mic. Apparently Bluetooth audio that goes directly into the phone is limited to a sample rate of 8kHz by the Android system at the moment (according to one of FilmicPro’s engineers) which doesn’t provide the grounds for great quality audio. There’s also a mic called the Instamic that is basically a self-contained mini audio-recorder in the form of a somewhat bigger lavalier with internal storage that also allows a live audio-streaming mode directly to the phone (with noticeably diminished quality compared to the internally recorded audio) but depending on your job, the quality might still not be good enough and can’t match that of wired connections. You also often get a slight delay between video and audio that increases the farther you get away from the device. And unlike with wired external mics, only a few video recording apps on Android actually accept Bluetooth as an external audio input as of today, the ones I know about are FilmicPro and Cinema FV-5. So while the limitations of Bluetooth mics might still be too big for much/most professional work at this time, it should (soon) be a viable option in the near future. As a matter of fact, there recently was a Kickstarter campaign for a Bluetooth transmitter called BAM! that can be attached to any XLR mic and streams the audio directly to the phone in good quality – unfortunately the campaign didn’t reach its funding goal. Let’s hope it’s not the end of the story since smartphone development is probably headed towards a design with no physical ports (wireless charging is already here!) and then wireless is the only way to go for better or worse! If you have questions or comments, feel free to drop a line! Back in 2016 Google made an iOS-exlusive app (weird, ain’t it?!) called Motion Stills. It focused on working with Apple’s newly introduced ‘Live Photos’ for the iPhone 6s. When you shoot a ‘Live Photo’, 1.5 seconds of video (with a low frame rate mind you) and audio before and after pressing the shutter button is recorded. You can think of it as a GIF with sound. What Motion Stills does is that it lets you record, stabilize, loop, speed-up and/or combine ‘Live Photos’. In 2017, Google finally brought the app to Android. Now while some Android phone makers have introduced ‘Live Photo’-like equivalents, there’s no general Android equivalent as such yet and because of that the app works slightly different on Android. Instead of ‘Live Photos’ you can shoot video clips with a maximum duration of 3 seconds (this also goes for pre-6s iPhones on iOS). There are also other shooting modes (Fast Forward, AR Mode) that are not limited to the 3 seconds but for this post I want to concentrate on the main mode Motion Still. So here’s a quick run-through of a possible scenario of how one might use the app for a quick story or say story-teaser: When covering a certain topic / location / object etc. you take a bunch of different 3-second-shots with Motion Stills (wide shot, close-up, detail etc. – 5-shot-rule anyone?) by pressing the record button. It might be good to include some sort of motion into at least some shots, either by shooting something where you already have motion because people or objects are moving or by moving the smartphone camera itself (‚dolly‘ shot, pan, tilt) when there is no intrinsic motion. Otherwise it might look a little bit too much like a stills slide show. Don’t worry too much about stabilization because Motion Stills automatically applies a stabilization effect afterwards and even without that, you might just be able to pull off a fairly stable shot for three seconds. After you have taken a bunch of shots, head over to the app’s internal gallery (bottom left corner on Android, swipe up on iOS) where all your recordings are saved and browse through the clips (they auto-play). If you tap a clip you can edit it in a couple of ways: You can turn off stabilization, mute the clip, apply a back-and-forth loop effect or speed it up. On iOS, you can also apply a motion tracking title (hope the Android version will get this feature soon as well!) What you can’t do is trim the clip. But you actually don’t have to go into edit mode at all if you’re happy with your clips as they are, you can create your story right from the gallery. And here’s the cool thing about that: Evoking a shade of Tinder, you can quickly add a clip to your project storyboard (which will appear at the bottom) by swiping a clip to the right or delete a clip from the gallery by swiping it to the left. If you want to rearrange clips in the storyboard, just long-press them and move them to the left or the right. If you want to delete a clip from the storyboard, long-press and drag it towards the center of the screen, a remove option will appear. In a certain way Google’s Motion Stills could be compared to Apple’s really good and more feature-rich Apple Clips app when it comes to creating a micro-story on the go really fast with a single app – but Apple Clips is – of course – only available for iOS. When you are finished putting together your micro-story in Motion Stills, you can play it back by tapping the play button and save/share it by tapping the share button. Once you get the hang of it, this is truly fast and intuitive – you can assemble a series of shots in no time. That being said, there are a couple of limitations and shortcomings that shouldn’t be swept under the rug. Obviously, thanks to the 3-second-limit per clip, the app isn’t really useful for interviewing people or any other kind of monologue/dialogue scenario. You might fit in some one liners or exclamations but that’s about it. It’s also a bit unfortunate that the app doesn’t apply some kind of automatic audio-transition between the clips. If you listen to the end result with the sound on, you will often notice rather unpleasant jumps/cracks in the audio at the edit points. While you could argue that because of the format content will only be used for social media purposes where people often just watch stuff without sound and will not care much about the audio anyway, I still think this should be an added feature. But let’s get back to the format: While you have the option to export as a GIF if you are only exporting one clip, the end result of a series of clips (which is the use case I’m focusing on here) is an mp4 (mov on iOS) video file with the rather awkward resolution of 1080 by 1440 (Android) or 720 by 960 (iOS) – a 3:4 aspect ratio. This means that it will only be useful for social media platforms but hey, why ‚only‘, isn’t social media everything these days?! Another thing that might be regarded as a shortcoming or not is the fact that (at least on Android) you are pretty much boxed in with the app. You can’t import stuff and clips also don’t auto-save to the OS’s general Gallery (you will have to export clips manually for that). But is that such a bad thing? I don’t think so because a good part of the fun is doing everything with a single app: shooting, editing, exporting/publishing. So let’s finish this with an actual shortcoming: While the app is available for Android, it’s not compatible with certain devices – mostly low-end devices / mid-rangers with rather weak chipsets. And even if you can install it, some not-so-powerful devices like the Nokia 5 or Honor 6A (both rocking a Snapdragon 430) tend to struggle with the app when performing certain tasks. This doesn’t mean the app always runs a 100% stable on flagships – I also ran into the occasional glitch while using it on a Samsung S7 and an iPhone 6. Still, the app is free, so at least check it out, it can really be a lot of fun and useful to do/learn visual (micro) storytelling! Download it on GooglePlay (Android devices) or the Apple App Store (Apple devices). P.S. : Note that you can only work on one project at a time and don’t clear the app from your app cache before finishing/exporting it – otherwise the project (not the recorded clips) will be lost! P.P.S. : Turn off the watermark in the settings! 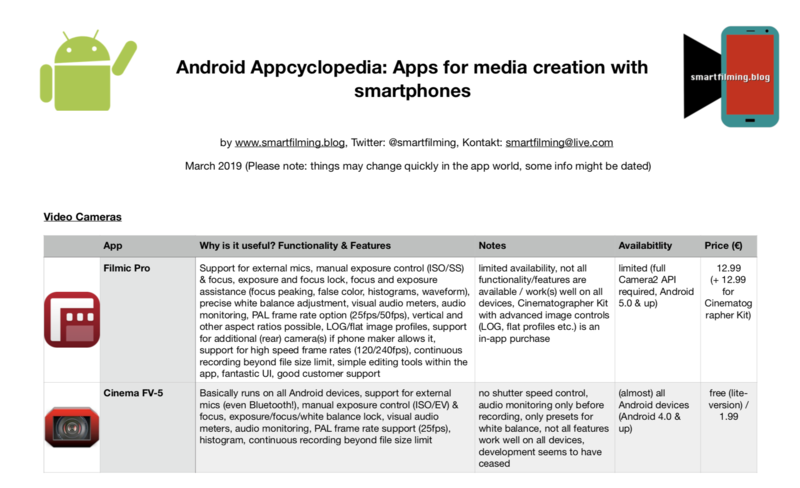 I’ve been spending quite some time in the last months doing research on what device could qualify as the cheapest budget Android phone that still has certain relevant pro specs for doing mobile video. While it might be up to discussion what specs are the most important (depending on who you ask), I have defined the following for my purposes: 1) decent camera that can record at least in FHD/1080p resolution, 2) proper Camera2 API support to run pro camera apps with manual controls like Filmic Pro (check out my last post about what Camera2 API is), 3) powerful enough chipset that allows the use of video layers in pro video editing apps like KineMaster and PowerDirector, 4) support for external microphones (preferably featuring a headphone jack as long as there are no good all-wireless solutions available). The greatest obstacle in this turned out to be No. 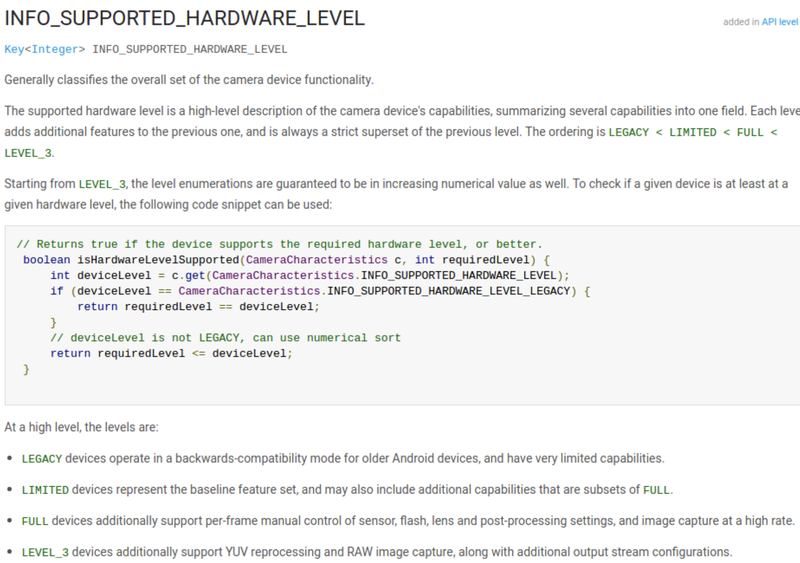 2 on the list, proper Camera2 API support. Apart from Google’s (abandoned?) Nexus line which also includes a budget option with the Nexus 5X (currently retailing for around 250€), phone makers (so far) have only equipped their flagship phones with adequate Camera2 API support (meaning the hardware support level is either ‘Full’ or ‘Level 3’) while mid-range and entry-level devices are left behind. 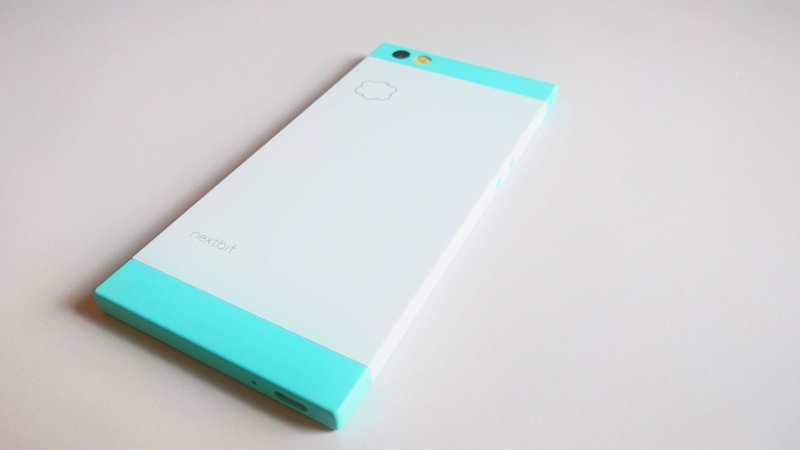 Recently, I happened to come across a rather exotic Android phone, the Nextbit Robin. The Nextbit Robin is a crowdfunded phone that came out last year. Its most notable special feature was the included 100GB of cloud storage on top of the 32GB internal storage. While the crowdfunding campaign itself was successful and the phone was actually released, regular sales apparently have been somewhat underwhelming as the phone’s price has dropped significantly. Originally selling for a mid-range price of 399$, it can now be snagged for around 150€ online (Amazon US even has it for 129$). 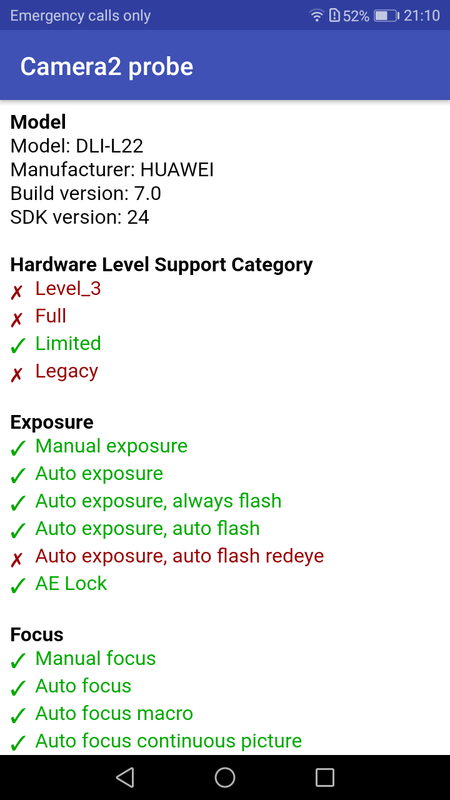 As far as I know, it is now the cheapest Android device that checks all the aforementioned boxes regarding pro video features, INCLUDING full Camera2 API support! Sure, it has some shortcomings like mediocre battery life (the battery is also non-replaceable – but that’s unfortunately all too common these days) and the lack of a microSD storage option (would have been more useful than the cloud thing). It also gets warm relatively quick and it’s not the most rugged phone out there. But it does have a lot going for it otherwise: The camera appears to be reasonably good (of course not in the same league as the ones from Samsung’s or LG’s latest flagships), it even records video in UHD/4K – though it’s no low light champion. The Robin’s chipset is the Snapdragon 808 which has aged a bit but in combination with 3GB of RAM, it’s still a quite capable representative of Qualcomm’s 800-series and powerful enough to handle FHD video layers in editing apps like KineMaster and PowerDirector which is essential if you want to do any kind of a/b-roll editing on your video project. It also features a 3.5mm headphone jack which makes it easy to use external microphones when recording video with apps that support external mics. The most surprising thing however is that Nextbit implemented full Camera2 API support in its version of Android which means it can run Filmic Pro (quite well, too, from what I can tell so far!) and other advanced video recording apps like Lumio Cam and Cinema 4K with full manual controls like focus, shutter speed & ISO. One more thing: The Robin’s Android version is pretty much as up-to-date as it gets: While it has Android 6 Marshmallow out of the box, you can upgrade to 7.1.1 Nougat (the latest version is 7.1.2). So should you buy it? If you don’t mind shelling out big bucks for one of the latest Android flagship phones and you really want the best camera and fastest chipset currently available, then maybe no. But if you are looking for an incredible deal that gives you a phone with a solid camera and a whole bunch of pro video specs at a super-low price, then look no further – you won’t find that kind of package for less at the moment. Cameras that can produce spherical 360 video are becoming more affordable and widespread these days, slowly making their way into the mainstream. The recently released Android-smartphone-specific Insta360 Air clip-on camera has joined a bunch of other entry level 360 cams like the Ricoh Theta S, the LG 360 Cam and Samsung’s Gear 360 to make this new exciting world of immersive visuals available for the crowd while more avantgardistic 360 aficionados are getting their fix with a GoPro-Omni rig or Nokia’s 40000 € Ozo. High-end 360 video solutions are still meant to be post-produced on a desktop machine but the consumer variants are closely tied to mobile devices already. 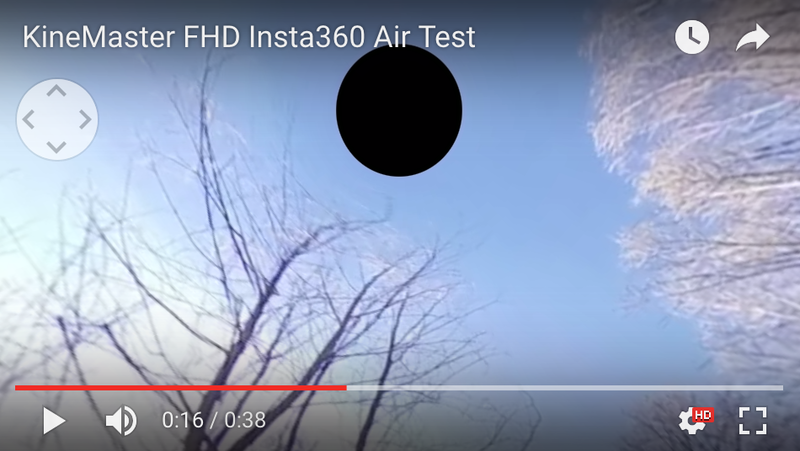 The Insta360 Air connects to the microUSB or USB-C port of an Android phone and records the footage directly to the device. The other three aforementioned entry-level 360 cams can – unlike the Insta360 Air – also be used as a standalone camera without a (physical) connection to the phone but they all have companion apps that will help you to get the best shooting experience and control via a wireless connection. Furthermore, they make it very easy to directly transfer the footage from the camera to the phone for instant sharing or editing. YouTube and Facebook are the two big social networks that already support interactive 360 videos natively, Vimeo has recently added this feature as well. But before sharing, it’s very likely you want to perform some edits on your footage or combine a couple of clips to tell a story. 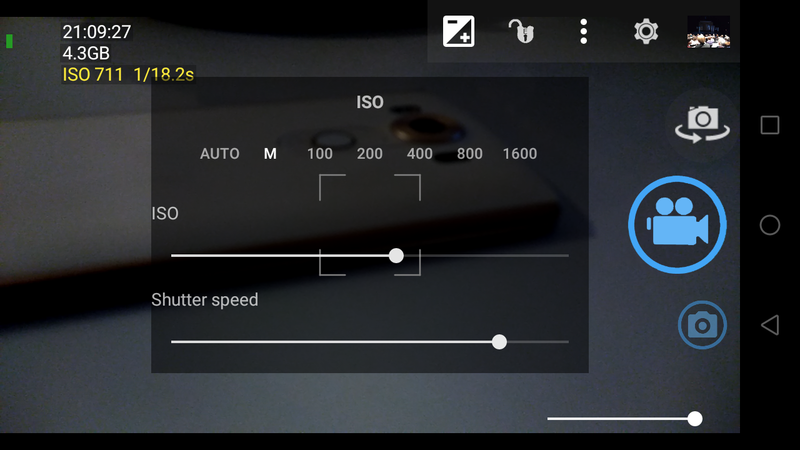 This brings us to the topic of how you can edit 360 video directly on your Android device. Oh wait! Just hold your horses for a second! Before actually tackling the editing options I think it’s helpful to address two subjects first to better understand the idiosyncracies of dealing with 360 video: stitching and metadata. (Consumer) Camera technology is not (yet) at the point – at least as far as my knowledge goes – where you can record a spherical 360 image with only a single lens. To achieve a spherical 360 image, at least two lenses are used. These two lenses will give you two images which can be stored in a single file or in different files. Either way, to get one single image ready for spherical display (in the so-called “equirectangular” format) the two images need to be “stitched” together. The stitching can be done automatically by a software algorithm or it can be done manually in a specific editing program. When using a consumer 360 camera you will not have to bother with manual stitching as long as you transfer the files to the camera’s companion app which does the stitching for you automatically. You will only encounter “raw” un-stitched files if you pull the recorded files directly off the SD card without transferring them to the app first for stitching. Here are two screen grabs, one is un-stitched footage from the Gear 360, the other stitched footage from the Insta360 Air. 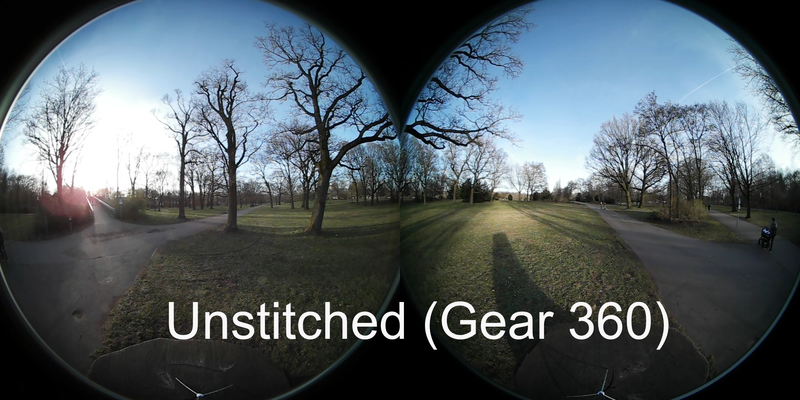 Important: Only stitched footage in equirectangular format will be displayed correctly as an interactive 360 video when you upload the file to YouTube or Facebook. The other important thing to have the video displayed correctly as an interactive 360 video in a dedicated player is metadata. It’s data embedded in the video file that will “tell” the player that the file is a 360 video. I’ve used the term “interactive” repeatedly, what do I mean by it? It means that you can interactively change the perspective in the video, either by dragging your finger around the screen or by panning/tilting your device (making use of the phone’s gyroscope). If there’s no metadata in the file, the player will just display a flat, equirectangular video that you can’t interact with. 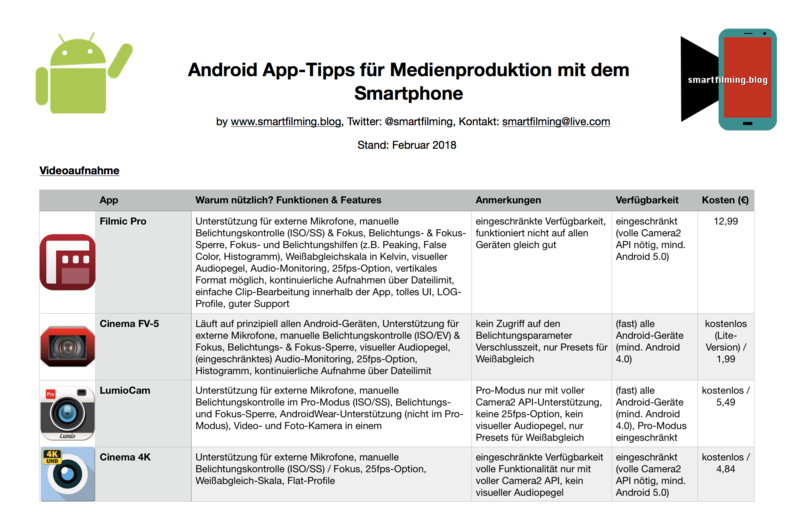 And halleluja, this finally sends us off to our actual topic – editing 360 video on Android – because, depending on what editing app you choose, the exported video still has the 360 metadata in it – or not (in which case it will have to be re-injected). When should you use which option? You only want to trim the beginning/end of a single clip and/or add a filter. You don’t want to mess around with re-injecting metadata. You want to build a story with multiple clips. You want to have more editing options & features like changing the default viewing angle, speed or add music/audio. You want to keep the metadata in the file. You want to build a story with multiple clips. You want a timeline environment, not a storyboard. You want the full feature set of your regular Android video editing app including precise placement/length of titles, music, voice-overs, graphics, transitions etc. You want to work on multiple projects at the same time. You don’t mind loosing a bit of vertical resolution. You don’t mind the “Black Hole Sun” syndrome. You don’t mind not having an ‘interactive’ preview. You don’t mind re-injecting metadata. 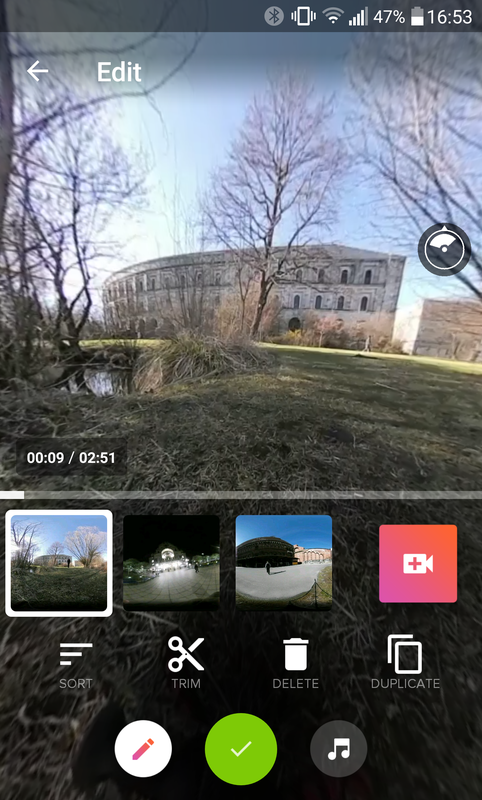 If you use the editing options of a 360 camera’s companion app, you will only be able to perform extremely basic edits when the end product should be an interactive 360 video. For instance, the companion app for the Insta360 Air only lets you add a filter from their selection, like black&white or some other Instagram-inspired ones. You can’t even trim the beginning or the end of the clip which definitely would come in handy if you don’t intend to be in the shot. 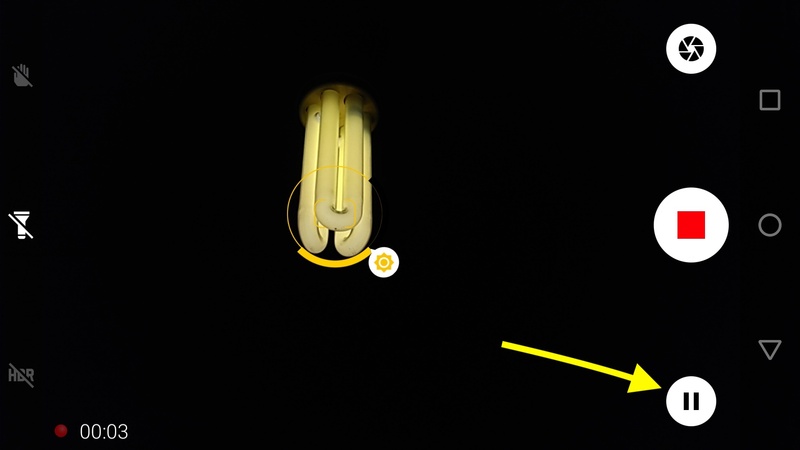 Unlike with the Insta360 Air app you can do this kind of top & tail trimming in Samsung’s Gear 360 Manager app and Recoh’s Theta+ Video. The latter also lets you add a filter and music before exporting. I can’t really say anything about the companion app for the LG 360 Cam as I neither have one nor do I know somebody who owns it. But I very much assume that it won’t go beyond the features discussed here. 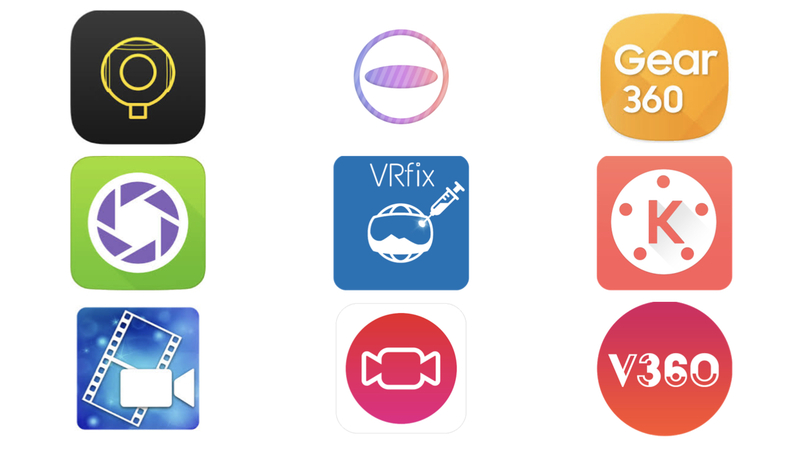 Btw, if you want to share to a network that does not (yet) natively support 360 video (like Twitter, Instagram, WhatsApp or Snapchat) you might want to transform the video into a “Tiny Planet” or “Magic Ball” format which (most) companion apps let you do. But as this blog post is about ‘real’ interactive 360 video, I won’t go further into details here. The same goes for desktop editing software that is provided by the camera companies (like Insta360Studio or the Gear 360 Action Director) because we are focusing on mobile-only solutions. 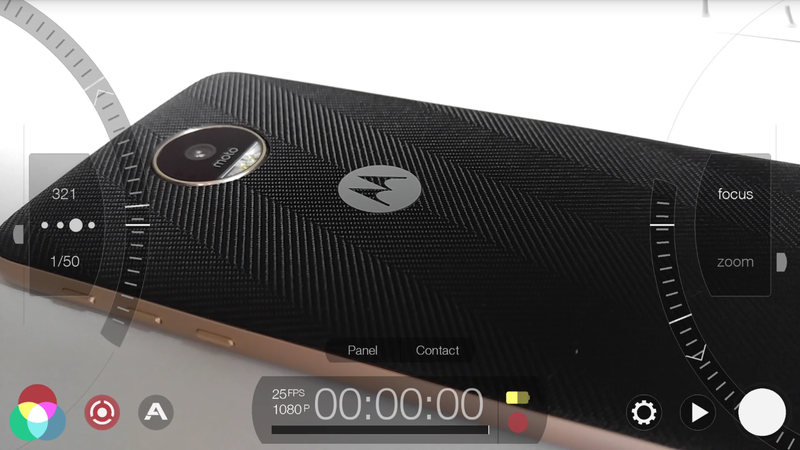 While often Android users are served less generously or belatedly regarding certain high-profile apps compared to Apple’s iOS users, they can actually be trailblazers when it comes to mobile 360 video editing! There are already two genuine 360 video editing apps in Google’s PlayStore (not a single one for iOS yet): Collect and V360. Both of them are still in beta (update: V360 has been officially released in the meantime) and relatively basic when compared to more advanced “regular” video editing apps but they cover the basics pretty well and appear generally very promising at this early stage. The most important thing is that – unlike the companion apps – they actually let you build a story out of multiple clips. When compared to each other, Collect comes off as the more advanced and visually slightly slicker app with a couple of more features but a minor drawback in the exporting process. But let’s talk about V360 first, it’s plain simplicity may even make it a better choice when doing your very first 360 video edit. Upon firing up the app you can either multi-select a couple of 360 video clips or just select one and add other clips later. One very helpful thing is that there’s a slider button that when activated shows only 360 video clips, not your whole camera roll. When you’re done you’ll get to the storyboard (storyboard means each clip thumbnail has the same size no matter how long or short the video clip is). 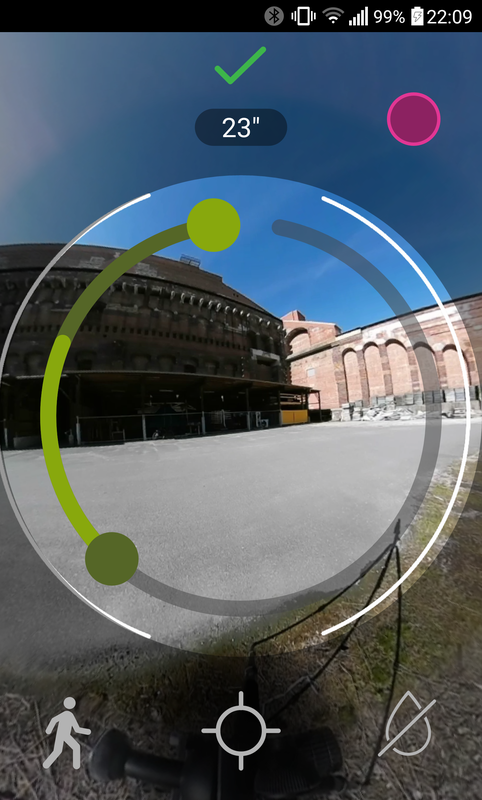 By swiping your finger around the preview area or moving around your phone you can explore the different parts of the 360 video. If you want to edit a clip you just tap on the pen icon below the storyboard: You can trim (top & tail), delete or duplicate the clip. There’s also an option to sort the clips (newest/oldest first) but that didn’t really work work me. If you want to rearrange the order of the clips in your story you long-press the clip and then drag it to its new place in the storyboard. You have the chance to add music or another audio clip to the storyboard. Keep in mind though that this audio will play through the whole clip, you cannot have it come in or go out at a certain point. There is however an option to adjust the music volume for the whole video. By tapping on the speaker icon you can change the volume relation between the sound from the video and the audio clip in three steps. Upon export you will find that fortunately the resolution is the same as your source material and that the metadata is still in place but also – a bit less enthusiastically – that a V360 branded outro has been added. Hopefully they will give you the chance to disable it with a future update. If you’re longing for something slightly more advanced then you should check out Collect. After selecting your clips you will find that the idea of circularity is a clever UI theme for a 360 video editing app. The thumbnails of the storyboard are circular and the preview window has a circular mask to help you imagine what the point-of-view will be like for the viewer when watching the video in VR mode with goggles. If you tap on one of the clips and enter the edit screen you will also find that the trim handles for the clip are built into a circle. Btw don’t worry about the trim handles already having been moved without you doing anything – when adding the clips to the storyboard the app does sort of a quick “auto-edit” but all of it is reversible. However I’d prefer to have this as an option to enable rather than a default setting. While letting you add some audio to the story (but just like V360 it plays through the whole video), Collect has a couple of more features up its sleeve: You can add a color filter, change the speed (slow, normal, fast) of the video and – that could be the most important thing – change the default viewing angle so viewers initially look into the direction you want them to look when a new clip starts. If you don’t know what it’s for I assume it can be a bit confusing for beginners though. Another nice feature is the ability to add a custom watermark (a square PNG image with maximum size of 1024×1024, transparency is supported) at the bottom of the image. While I am hoping that future updates will add a few more features like a basic title tool or the ability to switch to a timeline mode which gives you more control over the placement of audio tracks, the biggest flaw of this really cool app at the moment is that the resolution of the exported file is always 3840×2160. If you’re working with Gear 360 footage (which has a maximum resolution of 3840×1920), things are fine but if you use footage from another camera with lower resolution like the Insta360 Air that has a maximum video resolution of 2560×1280 on most phones, the image will get softer because of the upscaling. It would be good to have the option to keep the source material’s original resolution when exporting. Like V360 the app preserves the metadata upon export. One more thing: It’s very cool that they integrated an in-app messenger-like service for giving feedback to the developer team. So speak your mind if you have suggestions! One thing that both Collect and V360 are lacking is the ability to save/manage multiple projects at the same time. Right now, you have to finish one project before starting a new one. And while you can’t work on different projects at the same time in either of these apps, V360 does save your current project even if you leave the app or eliminate it from the background tasks. Collect on the other hand does save your project as long as you keep the app running in the background, if you clear out the background apps your project will be lost! This is definitely something that both apps (especially Collect) should improve upon. 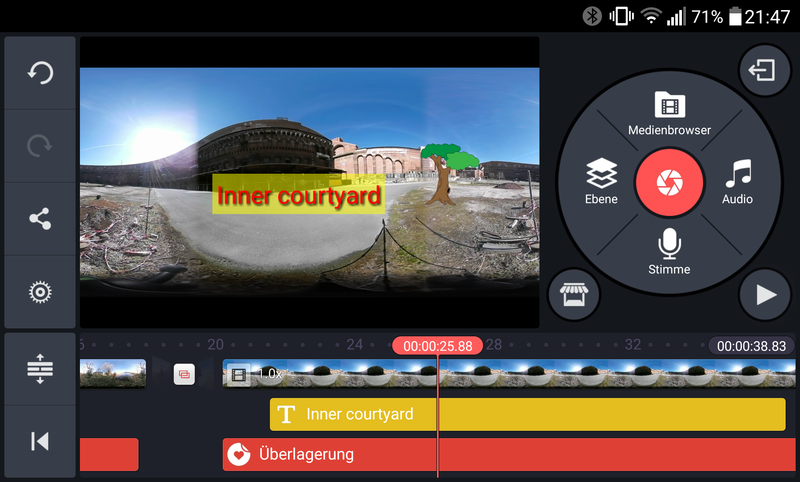 The ability to save multiple projects and going back to them for adjustments later is (currently) one of the big advantages when using a ‘regular’ Android video editing app for 360 video. 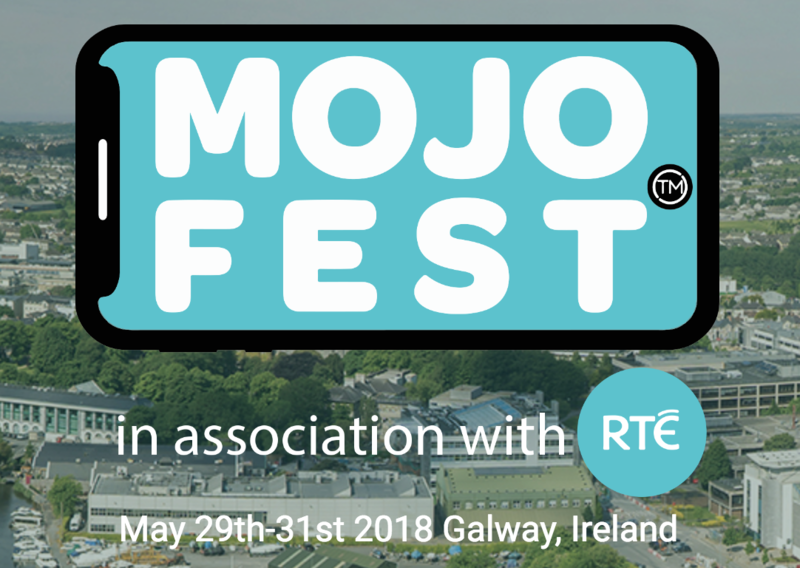 Also, if you want to use titles, place audio files including voice overs at certain points, add transitions or just generally have the full feature set of a more advanced mobile editing app at hand, this is the better choice – it’s a slightly different workflow though and there are some caveats as well. By far the best two video editing apps on Android are KineMaster and PowerDirector, so I will only talk about these two champions here although you might also be able to use another video editing app. While PowerDirector already supports 4K/UHD footage on powerful enough devices, KineMaster has just released a beta version that includes 4K/UHD footage support as well (again the device – or more precisely its chipset – needs to be powerful enough to handle it) but the official release version is (for now) limited to FHD. While 4K/UHD still hasn’t exactly penetrated the mainstream as the standard resolution for ‘regular’ video, it’s a crucial point in the 360 video world because spread over a vastly larger area than in a regular non-360 image, a FHD resolution only looks like SD at best. So if you want something that at least comes a bit closer to an HD (720p) feeling, 4K/UHD footage is needed. You also have to consider that the most common aspect ratio of 360 video is not 16:9 but 2:1 (or 18:9) so you will lose a bit of vertical resolution. Let’s have a look at what kind of footage you can import into KineMaster and PowerDirector (please note that less powerful devices may not support the highest resolutions). KineMaster currently supports a maximum resolution of 1920×1080 (FHD; 4K/UHD support is in the pipeline as mentioned before) and a maximum frame rate of 30fps. This means you can import footage from the Ricoh Theta S (1920×1080, 30fps) in full but you will have to go for lower resolutions and some pixel loss with footage from the Insta360 Air (2560×1280 does not work, only 1920×960, both 30fps) and Gear 360 (3840×1920 and other lower resolutions don’t work, only 1920×960, 30fps). The video will appear in and export from KineMaster in a common FHD resolution of 1920×1080 (having to fill the vertical resolution from 960 to 1080) so there will be some black letter-boxing which eventually results in what I like to call the “Black Hole Sun” (of course paying homage to a certain tune …) syndrome when viewing it as an interactive 360 video: a small black circle at the top and bottom of the image. You can watch the sample video here (make sure to watch it in highest possible resolution). A quick warning for those usually producing PAL video content with a frame rate of 25fps (which KineMaster allows): Since the footage on these cameras can only be captured with 30fps, set the export frame rate in KineMaster‘s settings to 30 as well for the best result – and it’s the more ‘natural’ standard for platforms like YouTube and Facebook. If you are running PowerDirector on a device that supports 4K/UHD editing you can import Insta360 Air footage shot in 2560×1280 (30fps) but have to decide wether you want to export it downscaled to 1920×1080 (FHD) or upscaled to 3840×2160 (UHD). You can check my two sample videos (FHD & 4K, make sure to watch it in highest possible resolution) to decide which option you like better quality-wise. The ability to import 4K/UHD footage in PowerDirector also lets you use Gear 360 footage at maximum resolution (3840×1920, 30fps) but as the regular UHD format is 3840×2160, your video will also suffer from the “Black Hole Sun” syndrome. But let’s move on to the actual editing process using either PowerDirector or KineMaster. One thing that makes imagining the final product a bit more difficult than when using a dedicated 360 video editing app like Collect or V360 is the fact that the preview window will not display an interactive image that you can explore by swiping your finger on the screen or moving the device around like you would with the finished product in a 360 video player – all you see is the flat equirectangular image. So be ready for some trial & error work to find out how certain edits or the addition of titles/graphics will actually look like in the end! That being said, having a precise timeline layout instead of a simple storyboard plus the full feature set of those two advanced mobile video editing apps will give you a lot more freedom and control to create the video your way. You can record voice-overs or add music tracks and place them at specific points, you can add titles (they actually work surprisingly well in a 360 environment, just pay attention to where you place them and don’t make them too big or it will be very hard to read them!) and graphics and exactly define their length, size & style, you can apply transitions instead of plain cuts etc. etc. 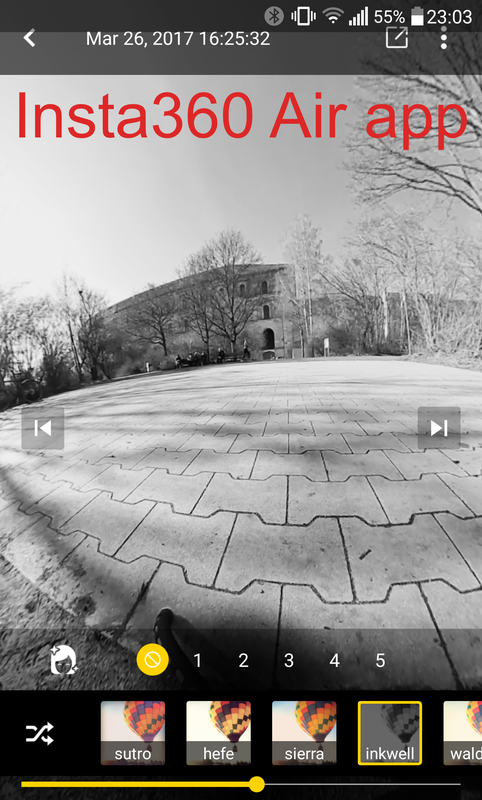 So you have created a super-sophisticated 360 masterpiece and joyfully sung Soundgarden’s “Black Hole Sun” the whole time – now you can just upload the video to YouTube or Facebook and get showered with Likes and Thumbs-Ups, right? Er … no. Because we’re pretty much coming full circle (absolutely no pun intended!) when I tell you you mustn’t forget about the metadata! After exporting your video from a regular Android video editing app, the metadata is gone and it needs to be re-injected so that the video player on YouTube or Facebook will actually display the video as an interactive 360 video and not in a flat equirectangular form. 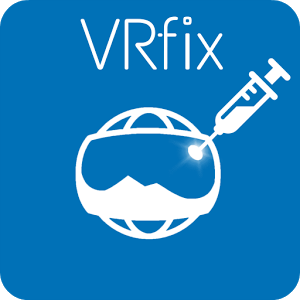 So there’s a problem but, alas, there’s also a fix: VRfix. 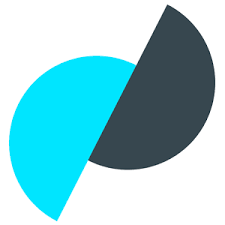 This app is a one-trick pony and it will cost you a couple of bucks but you should be thankful that it exists because otherwise, there would be no happy ending for a mobile-only 360 video workflow when you have used PowerDirector or KineMaster to edit your video. After you have re-injected the 360 metadata into the video file with VRfix, you can finally upload the video to your 360 video platform of choice. If you want to know more about how VRfix works, check out their website. Oh my, this is my first English language blog post here and it has become quite a monster despite the fact that I only wanted to cover some general basics. Well, well. I do hope you will find it useful in some way. Please feel free to drop questions and other feedback in the comments or hit me up on Twitter (@smartfilming). If you happen to find any mistakes or incorrect information in my article you’re also more than welcome to let me know about it. In that regard I want to finish by saying thanks to a couple of people I consulted during the process of writing this blog post: Pipo Serrano (@piposerrano), Paul Gailey (@paulgailey), Kai Rüsberg (@mojonalist), Sarah Jones (@VirtualSarahJ), Sarah Redohl (@SarahRedohl) and the 360 Rumors Blog (@360rumorsblog). in an earlier version of this article it was said that KineMaster does not support 4K/UHD footage. in an earlier version of this article it was said that projects can’t be saved when using Collect or V360.